The most important active ingredient that the chilli contains is the capsaicin (C18H27NO3), the main responsible for the hotness, because it is the hottest one among the various capsaicinoids contained in the chilli. 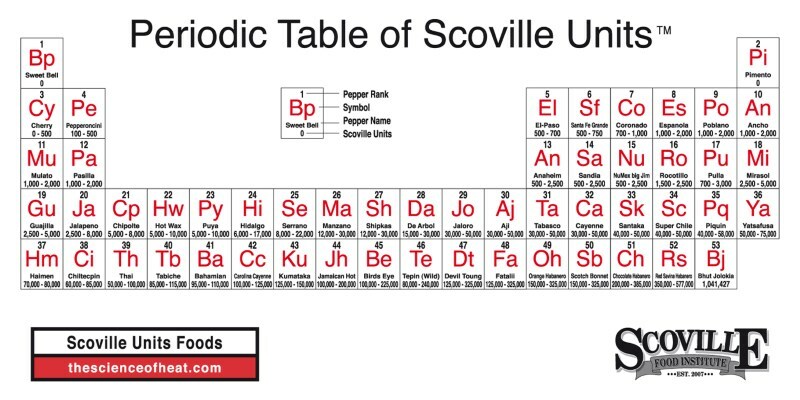 The capsaicin content can be measured through the "Scoville Scale": set equal to 0, the SHU (Scoville Heat Units) value of the sweet pepper (which does not contain capsaicin) and set equal to 16,000,000 the SHU value of pure capsaicin, the various cultivars of chilli reach values from about 40,000 SHU for the classic cayenne chilli, to 400,000 SHU for the habanero pepper, up to the record level of the new hybrid varieties that exceed 1,000,000 SHU. The habanero chilli includes several varieties, each one with its higher or lower capsaicin content. "Red Savina" can reach 600,000 SHU, "Chocolate" about 300,000 SHU, "Yellow" about 200,000 SHU. » would prevent some cancer, especially the prostate one, but right now the study only concerns test animals. 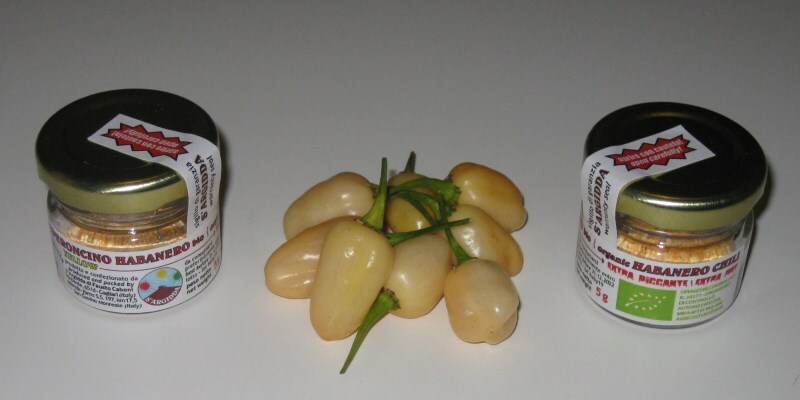 The chilli also contains a high quantity of vitamin C, that is necessary for the collagen synthesis and for this reason involves various positive effects, especially for skin and blood vessels. The packaging we propose is the glass jar with 10 grams of "Red Savina" or "Yellow" habanero chilli powder. 1) How much powder can I use? 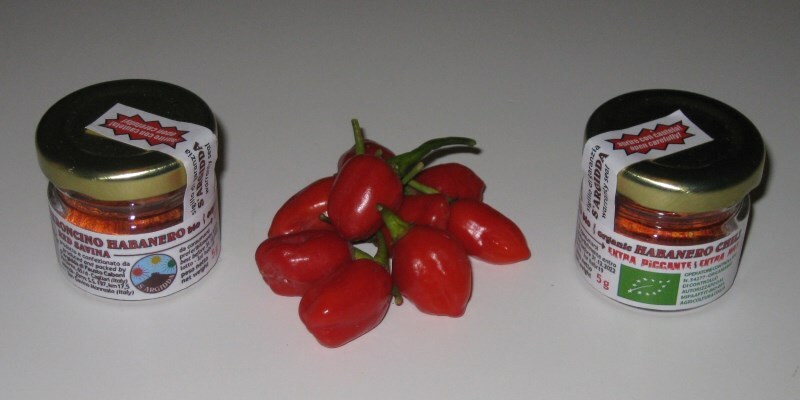 Considering its high content in capsaicin, which carries a high degree of hotness, it is good to take care of the amount of habanero chilli you use: you can start with very small doses and take it through the point of a knife from the glass jar and then, according to your taste, eventually increase the dose. 2) On what dishes can I use the habanero chilli? For who love the spicy dishes, the habanero chilli is good for almost all your foods, we suggest you to combine it with red meat, to seasoning tomato sauces, to make jams or in your olive oil. For the rest... leave free your imagination!